Doha, Qatar (January 8, 2017) – Novo Cinemas, the leader in cinematic experiences, and a part of the prestigious Elan Group in Qatar has launched the largest IMAX with Laser in the MENA region at their new flag ship cinema at Mall of Qatar, in Al Rayyan, Doha. Novo Cinemas at Mall of Qatar features 19 screens, including an IMAX with Laser theatre that features the largest IMAX screen in the MENA region. Boasting 530 seats and the most advanced cinematic technology, it will allow audiences to escape into the world of entertainment. The new IMAX with Laser system delivers a perceived resolution beyond 4K delivering maximum, contrast and brightness. The system also includes an upgraded sound system featuring 12 channels plus sub bass that delivers lifelike sound from all directions, including overhead, to fill the cinema with astonishing clarity, richness, detail, and depth. “We are thrilled to further expand our IMAX portfolio throughout the Novo network. 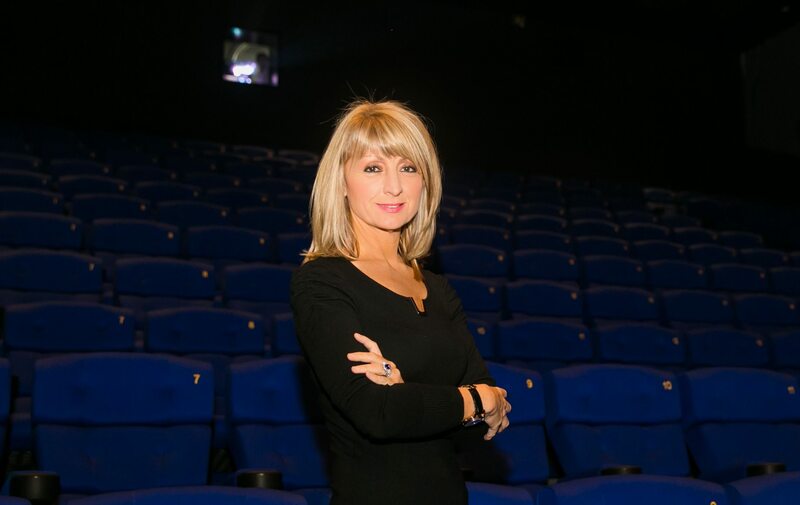 To do so with the largest IMAX screen in the Middle East that features the Company’s next-generation laser technology, reflects our commitment to providing our guests with the most the immersive film experience possible,” said Ms. Debbie Stanford-Kristiansen, CEO, Novo Cinemas. “IMAX is delighted to continue our partnership with Novo Cinemas that shares our passion for delivering unforgettable film experiences. Together, we look forward to ushering in a new era of moviegoing in Qatar with the first IMAX® with Laser system in the country,” said John Schreiner, Senior Vice President, Theatre Development Russia, CIS, Middle East, and India, IMAX Corporation. Introduction of the first ever 4D cinema in Qatar is another innovation brought to the market by Novo Cinemas; a screen will be dedicated to MX4D cinema and technology, which coordinates movement of the seats with the actions occurring on the screen, allowing for a heightened level of engagement and immersion in the film. There will also be interactive, crowd-pleasing special effects such as air blasts, water spray, seat rumblers, under seat “poppers”, scents and a number of theatrical atmospheric effects such as wind, rain, fog and more. The new cinema will offer a selection of luxury experiences to guests ranging from a host of 7-Star cinemas which include a VIP lounge, personal butler service and in-theatre dining through to the new ‘Novo Signature’ VIP seats within the IMAX Laser with private entrance and in-theatre dining. Both options will ensure the most opulent in cinema viewing experience possible. The venue also features additional entertainment options with the eight-lane state-of-the-art bowling alley and party centre where guests can be further entertained before or after their movie, as well as rainbow themed children’s cinema dedicated to showing children’s films. A range of healthy snacks, delicious treats and the delicious 7-Star menu alongside a new sushi bar concept complete the great time out which customers can enjoy at Novo Cinemas, Mall of Qatar. To learn more, visit www.novocinemas.com or via the Novo Cinemas’ smart phone application available to download via Apple or Android Apps. Bringing more than movies to the big screen, Novo Cinemas is committed to providing every community with a personalised and outstanding entertainment experience. There are currently 129 screens across 15 cinemas in the UAE, Qatar and Bahrain, with a planned increase to 235 screens in 23 cinemas in 4 markets by 2017.